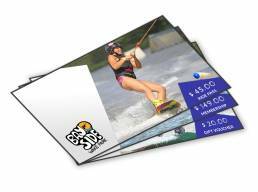 Bayside Wake Park (also commonly known as Cable Ski Logan) is a Wakeboard and Water Ski Park located in the heart of sunny south east Queensland the adventure capital of Australia, right between Brisbane and the Gold Coast. It provides an action packed and fun experience for first time visitors through to advanced riders. Bayside work with VoucherCart providing Membership Vouchers, Equipment Hire, Cable Passes for the amazing Cable-Ski area and of course Monetary vouchers. These guys know where the fun is at. We love them.